Der Artikel A-Z of Conductors (4 CDs & Buch) wurde in den Warenkorb gelegt. 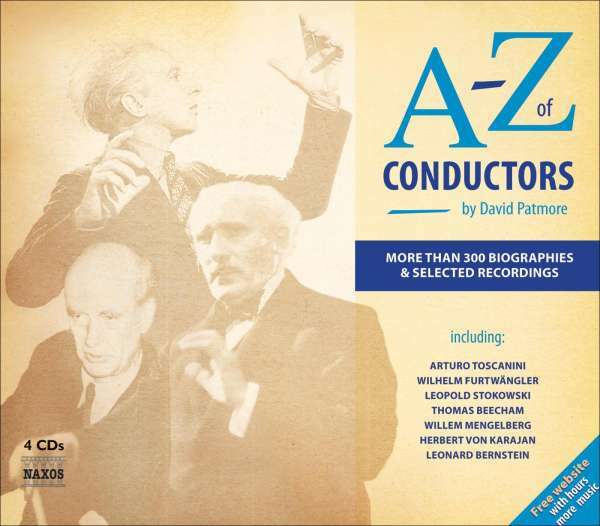 The A-Z of Conductors surveys the history of recording during the twentieth century, from the earliest days of capturing orchestral music on disc to the present era of the iPod, through the biographies of more than 300 of the most significant conductors whose art is preserved on record. In addition, the entry for each conductor contains a list of selected recordings and a career outline. Four accompanying CDs present excerpts from recordings by forty-eight of the conductors featured, and complete works are available to listen to on the free website. 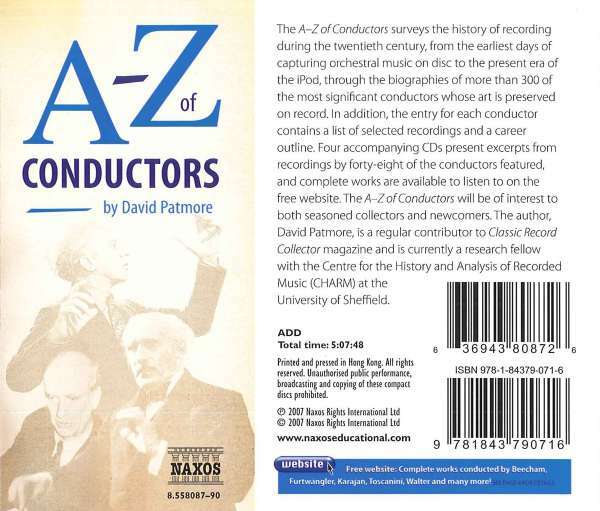 The A-Z of Conductors will be of interest to both seasoned collectors and newcomers. The author, David Patmore, is a regular contributor to Classic Record Collector magazine and is currently a research fellow with the Centre for the History and Analysis of Recorded Music (CHARM) at the University of Sheffield.